The Saatva mattress is an excellent option for those people who are on the hunt for a premium mattress at a fair and reasonable price. It’s an innerspring mattress that’s exclusively sold online. If you’re looking for a luxury mattress at a fraction of the cost, then Saatva mattress is perfect for you. Saatva mattresses are luxury mattresses built with a primary feature known as “coil on coil” construction. There are two sets of individually wrapped coils that respond to body contour and tempered steel coils that prevent sagging over the long term. The foam encased edge on Saatva mattresses provide more sleep surface than a typical memory foam mattress, and the plush Euro pillow top has more cushioning for greater comfort and a better look. Have you ever dreamt of buying a luxury mattress at a fraction of the cost of in-store models? If yes, then Saatva’s premium beds can make your dreams turn into a reality. The company’s direct-to-consumer model allows them to deliver an exceptional product for less than half the price of similar beds. If you want a high-quality mattress with a luxurious and traditional feel, then the Saatva mattress should be on top of your list. It will make you feel like you are sleeping at an expensive hotel every night. Are you excited to know if this well-acclaimed innerspring mattress can deliver the expected pressure relief to you and your family? Think Leesa can hold up to your expectations? Check our Saatva Mattress Review below! Saatva started in 2010 and had grown to be one of the biggest online-only mattress retailers available on the market. Saatva was one of the first online innerspring mattress retailers to offer multiple mattress types to appeal to different sleeping preferences. The Saatva is a traditional innerspring mattress, but the company also sells memory foam mattresses under the brand Loom & Leaf and latex mattresses under the brand Zenhaven. At Saatva, they’re committed to delivering the most comfortable, durable, and affordable luxury mattress without the drama or expense associated with mattress retailers. Over the last several years, they have grown from a mid-sized regional luxury mattress company to one of the largest online-only mattress companies in America, shipping coast to coast. Today, Saatva comprises 19 factories throughout America fabricating their patented products, as well as 135 fulfillment centers that deliver their mattresses. Since Saatva is comprised of professional online representatives, they are able to bring an environmentally friendly brand to consumers across all 50 states. For sure, mattress companies have taken the modern advances in fabric and mattress technology and fused it with them. But it’s important to consider your sleep preference also. This in-depth Saatva mattress review will help you figure out if its good fit or not. To have a classic innerspring feel. With more bounce and airflow than other online brands, you will enjoy a traditional feel that is enhanced with lumbar support. In addition, you will sleep on top of instead of deep in it. To have a quality construction. With strong stitching and materials, you will enjoy it for years to come. To have a chemical-free mattress. Saatva is CertiPUR-US® Certified and incorporates environmentally friendly materials and organic cotton in their design. The dual layer of springs removes the threats associated with typical all-foam brands. To buy online. Buying a mattress online is becoming more and more popular, and Saatva is one of the few innerspring companies that sells online. To sleep cool. Saatva is an innerspring mattress with bio-based foam on top. It does not sleep hot at all. You want to have a bed-in-a-box. Saatva is not compressed and shipped in a box delivered to your doorstep, which means you will need to block out a small window of time for their white glove delivery service to arrive. However, the edge strength gained from Saatva’s innerspring model is not often found in compressed boxed models and a big perk to consider when ordering. You like to have a memory foam feel. While there is a pillow top, responsiveness is quick and you will not have the sensation of slowly melting into the bed. You like to sink into the mattress. Because it isn’t pure foam, you don’t really get the feeling where the mattress envelops around you. You feel you sleep “on” the mattress, rather than “in” the mattress. You’d want to test it out. Saatva is available only online, so you won’t know the exact feel beforehand. Saatva mattresses are available in three different comfort levels: Firm, Luxury Firm, and PLush Soft. The firm level is for those people who prefer sleeping on their stomach or back, and would like to float on the mattress instead of sinking into it. On the other hand, the luxury firm is the same comfort level for which you can find in the finest hotels all over the world, where stomach, side, and back sleepers feel equally comforted. The luxury firm is the perfect comfort for people with different needs, or for couples who are constantly finding the right sleeping position every night. Plush soft is ideal for people who prefer sleeping on their side because with Saatva, they’ll feel enveloped in their bed. As such, they’ll never have a hard time falling asleep as they were before. Overall, most people will find this mattress a comfortable one because it has a medium to the medium-firm level of support. With this level of firmness, almost everyone with different sleeping positions or needs will benefit from the strong support and pressure relief, making it one of the best options for couples who need to meet in the middle. When lying on top of the mattress, you’ll instantly feel the soft pillow placed on top before experiencing the support and cradling of the springs underneath. There’s also a quick and fast response time when you stand up, which is somewhat slower when lying near the lumbar region where the memory foam is located. The springs and unique lumbar region provide the right amount of support. Hips dip into it slightly to give back sleepers the proper spine alignment. There is a slight cradling effect when lying on the mattress. It is easy to move around on and no feelings of being sucked into the bed. Stomach sleepers will also be comfortable with this type of mattress. They need adequate support so the back will not arch uncomfortably and fall out of alignment. They will find exactly what they need. However, medium-firm beds can be challenging for side sleepers who need a medium to soft support due to pressure relief requirement. But, rest assured that the Saatva mattress will be satisfactory for most side sleepers. The innovation in design means that most people, ranging from heavier to lighter, will have their needs met. Still, the comfort level for each person is different. Significantly heavier and lighter side sleepers may need to consider the Plush Soft option in order to have proper alignment. A softer bed will allow sleepers to sink down further, which will not only provide the right alignment but pressure relief as well. Significantly heavier individuals that sleep on their backs or stomachs may need to consider the Firm bed option for more support so they will not sink down too far. However, there is little risk of bottoming out in this bed. Sleeping cool is something that’s very important in order to achieve a good night’s rest, and this is because our body temperature naturally drops just slightly before we enter the most rejuvenating stages of sleep. Fortunately, the Saatva mattress cools down after the first thirty minutes of laying on it. However, Saatva is perhaps slower than the average cooling down of most mattresses. So, if sleeping cool is a particularly important aspect to you, you might want to consider Saatva’s Zenhaven mattress. It includes special measures that allowed it to cool back down in just 6 and a half minutes. For sure, those people who are buying a mattress would want to know whether they’ll have the feeling of sinking into the mattress or have the feeling of lying on top of the mattress. In order to get a better idea of how much sinkage can someone may experience when lying on the Saatva, four balls of different weights, sizes, and densities are placed on the mattress to find out how much they’ll sink to the surface. So there’s a 6 lb medicine ball, a 10 lb steel ball, a 50 lb medicine ball, and a 100 lb steel ball. These four balls can help us imitate various size or body parts of a certain individual to measure how far they’ll sink into the mattress. The result is, a 6 lb medicine ball has 2 inches of sinkage, while a 10 lb steel ball has 2.5 inches of sinkage. A 50 lb medicine ball has 5 inches of sinkage and a 100 lb steel ball has 6 inches of sinkage. Motion transfer is higher in this bed compared to memory foam mattresses, which are likely the best options when it comes to motion isolation. However, Saatva performs well in this aspect when compared to other innerspring mattresses. While the layer of individually wrapped coils helps to lessen motion transfer, a light sleeper who has a partner may need a different brand. If you plan on sharing your bed with a partner, you will want to know what it will feel like when the other person gets into and out of bed or tosses and turns during the night. In order to get a better idea, a 10 lb steel ball from heights of 4 inches, 8 inches, and 12 inches are used to measure the disturbance on the other side of the mattress. This should be a no-brainer: the bigger the lines, the bigger the disturbance. The result is, the 4-inch drop shows a small disturbance. This drop is meant to simulate someone tossing and turning on the other side of the bed, and the disturbance felt is pretty low. The foam pillow top of the comfort layer and individually wrapped coils are two components of the construction that are good at isolating motion transfer. As is to be expected, the 8 inch and 12 inch drop both shows larger, very similar, disturbances. These drops interact more with the support layer of coils, which causes more motion transfer across the mattress. If you’re going to share your bed with a partner, and need to use the whole surface area of the mattress, then edge support is something you might want to take a closer look at. Saatva specifically included a foam edge support component in this mattress, so let’s take an in-depth look to see if that paid off. When you sit or lie near the edge of the Saatva mattress, you’ll feel an incredible support and sustenance, and you’ll not see a change or a disturbance from the center of the mattress to the side. You can see or observe that there was minimal compression of the top of the mattress in this position. When sitting or lying on near the edge of the Saatva mattress, you’ll be able to change positions without worrying you would roll out of bed. Yes, there was very little change in support, even when if you’ll hang off the side of the bed for a bit. Sitting up on the side of the bed, think of putting your shoes on in the morning or getting into bed at night, your weight is entirely concentrated over one area of the mattress. As explained above, the Saatva mattress will make a great job of supporting you in various position, and still kept its shape so well that your feet couldn’t touch the ground. Though sitting on the side of the bed may not be the most important when looking at a mattress, but Saatva does a pretty good job of showing what increased pressure can do to the side of a bed. Saatva mattress is a good quality innerspring mattress that uses foam to improve and enhance its design. It is available in a 14.5-inch Premier Luxury or 11.5-inch Custom Slim height. Both options offer the same feel. The Custom Slim size can take advantage of adjustable bases, which the company has available for sale on their website. The non-removable cover is made of organic cotton and hypoallergenic fibers. A pronounced design in the quilting gets tighter in the lumbar region to provide more support. The top is soft and plush to the touch. Overall, the construction is highly durable. When pulling at the bed, the stitches stay strong and intact. At its core, there are multiple layers that help this brand stand out from the competition. There are two pivotal components to Saatva’s construction, the cover and the layered foams. Saatva features an organic cotton circular knit top panel, and it encloses a Euro pillow top that goes above and beyond what others you may have experienced offer. Firstly, it includes more padding and cushioning than standard pillow tops. Since these materials are then inserted underneath the outer covering, it results in a neater, cleaner look. Pillow tops that are sewn to the top of a mattress tend to shift and lose shape, something you won’t encounter with this product. Aesthetically, you’ll find the relatively similar look of the Saatva line to be pleasant, and you’ll likely enjoy the level of comfort this cover offers. This can be a good fit for those who sleep primarily on their sides and backs as it offers a great combination of comfort and support. The Saatva mattress has mainly 5-layers of foam. Organic Cotton Cover & Euro Pillow Top. The Euro-style pillow top’s 1.25-inch layer of foam is stitched in under the cover, aiding with pressure relief. Compared to a regular pillow top, the Euro Pillow Top offers more cushioning and padding materials. It’s also inserted below the outer cover for a more pleasing and luxurious look. Lumbar Support Enhancement. Below the pillow top, on the center third of the mattress, a unique lumbar area has been created with memory foam. It has a noticeably different feel from the rest of the mattress. This layer of memory foam is used to help provide pressure relief, reduce stress and tension in your lower back. Individually wrapped comfort coils. Going deeper, the first layer of coils is revealed under a convoluted foam transition layer. There are 884 individually wrapped 4-inch coils in the queen size that create motion isolation and conform to the body. Steel Coil Base Support System. The lower layer of 416 connected coils are 7-inch steel hourglass-shaped support coils. They prevent sagging and provide support. In addition, the coil-on-coil design helps with air circulation and gives the bed a good amount of bounce. All mattresses are made with a tempered steel support lower coil base. This will increase durability and prevent sagging as well. Dual Perimeter Edge Support System. The bed’s edges are encased in a sturdy, thick foam (which is also found on its base) to deliver enhanced edge support and make every inch of the surface usable. Overall, the Saatva mattress is an innerspring and foam structure that comes in thickness of 11.5 inches and 14.5 inches. It is made up of five layers – the Organic Cotton Cover & Euro Pillow Top, Lumbar Support Enhancement, the Individually wrapped comfort coils, the Steel Coil Base Support System, and the Dual Perimeter Edge Support System. And judging by the materials included, Saatva should be able to provide sleepers strong support, a balanced feel, and pressure relief. With the unique “coil and coil system” within the mattress, sleepers will have the utmost responsiveness and support while lying down in the bed and various sleeping positions. Saatva took an ultra-premium approach to its bedding manufacturing by using a dual support coil system. Dual coil support systems are not only more supportive and comfortable than single coil structure because they are much more durable as the strain of the body’s weight is distributed among two series of coils. This leads to higher quality sleep for a much longer period of time. Also, coil on coil beds tends to have 50-100% more coil units than traditional standard premium beds. Let’s face it, getting the right mattress is of the utmost importance. Thus, it’s very important to know the mattresses dimensions to help you decide a lot easier. Saatva mattress has different sizes and dimensions, to help you out, read the guide below. 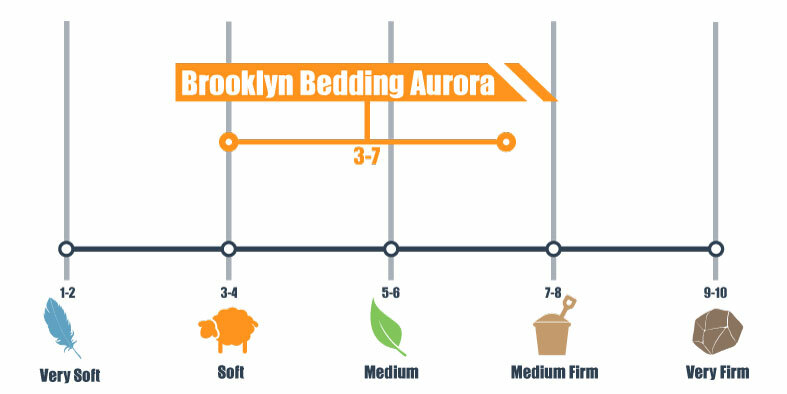 This is a popular mattress size choice for toddlers and young kids. With dimensions at 38 inches wide by 75 inches long, it’s the smallest mattress size available besides crib-sized mattresses. It fits entirely in small rooms, apartments, and even in recreational vehicles (RVs). It comes condensed in a small box and only weighs 50 pounds, so it’ll be very simple to set up. If you are comfortable with the width of the mattress Twin mattress but your feet hang off, the Twin XLis a good choice. The Twin XL is the same width but is 5 inches longer and is a popular choice for college dormitories. The full mattress is also sometimes called the Double. This mattress is 54 inches wide by 75 inches long, which makes it only 15 inches wider than the twin mattress. This mattress size is best for single sleepers who are shorter than 5 feet 5 inches. This is the most popular mattress size choice. It measures 60 inches wide by 80 inches long, which leaves plenty of room for a single sleeper. It’s also a good size for couples but keep in mind that each partner will have only 30 inches of personal space. By buying a Queen Saatva Mattress, rest assured that you’ll get a night after night of body contouring, cooling, and core support. If the queen doesn’t accommodate you and your partner, then the king mattress size might be a better choice. With dimensions at 76 inches wide by 80 inches long, there’s enough space for you and your partner to fit comfortably. Each person has 38 inches of personal space, which is about how much room they would have if they slept on a twin alone. The king also allows plenty space in case your kid/kids want to join you or you want your pets to join you in bed. If you need a taller mattress than the king, then the California king is a good option. It measures 72 inches wide by 84 inches long. If you like the size of the king but need something narrower, the California king would fit better in your room. Just make sure before you choose the king or California king that you have enough space in your bedroom. Through the help of the various online business model, it has allowed mattress manufacturers to offer high-quality products at reasonably low prices. As such, when the mattress is shipped directly to your front door, a handful of costs are eliminated. Considering the high-quality materials used and the way Saatva mattress feels, rest assured that you’ll get a premium mattress at a great value. If you are ready to order one, the table below displays the various prices for the different Leesa mattress sizes. Good news is there are no middlemen involved in the process. Unlike traditional luxury mattresses that are sold at retail stores and are marked up multiple times before they reach you, at Saatva, they bypass these channels and create the shortest path from their manufacturers to your home. Is Saatva mattress actually a good value? Well, you can never know the answer unless you buy and try it yourself. With high-quality materials, Saatva is a great option for a luxury innerspring coil on coil pillow top mattress for bounce lovers. Saatva mattress is one of the few online-only innerspring with firmness options that has a beautiful look, sturdy cover & tufting. Saatva also offers free White Glove delivery service, including old mattress removal. Some people may consider the Saatva mattress to be on the steeper end, but what you get is what you pay for. High-end Eurotop mattresses like Saatva is way more substantial both visually and in overall durability and construction style. Saatva is so confident with their product that they urge anyone buying to take their sheets and specs into a brick and mortar mattress shop and compare the price for the specs they provided. Saatva claims their beds last up to 10 to 15 years and offers a 15-year non-prorated warranty. So if your mattress is defective in the first two years, they will replace it with a brand new mattress completely for free. After the first two years, Saatva will repair and re-cover your mattress for a $99 transportation cost both ways (no other fees). The warranty is valid for either model if the mattress is used on a platform bed. The warranty is void if the 14.5” model is used on an adjustable base (only the 11.5” model is made for adjustable bases). The warranty is also void if the foundation is not supported by a proper metal bed frame (5 or 6 legs with vertical center support for Queen and King size mattresses, and 4 legs for full or twin size beds). Body impressions greater than 1 inch are covered under the warranty. The warranty is void if the mattress has been burned or otherwise abused or damaged. There is a 120-night trial period that starts on the day of the delivery. No “penalty fees, pick-up fees, or restocking fees” will be incurred. For the first two years, Saatva will completely replace a mattress at no extra charge to you if the mattress is deemed ‘defective’. For the last 13 years, Saatva will repair and re-cover a Saatva mattress for a transportation fee of $99 each way. During years 3-5, you can choose to obtain a new mattress (rather than having the current one repaired) for 25% of the original price. During years 6-10, you can choose to obtain a new mattress (rather than having the current one repaired) for 50% of the original price. During years 11-15, you can choose to obtain a new mattress (rather than having the current one repaired) for 75% of the original price. Saatva will not charge a delivery fee for new mattresses for customers who choose this option. No matter how old the warranty is, you can choose to keep the original mattress at no additional charge if you decide to obtain a new mattress at the rates listed above. The warranty is contingent on the use of a proper support system. The warranty will be voided if a queen or king mattress is used with a metal bed frame that does not have a five- or six-legged support structure. The warranty will also be voided if a twin or full mattress is used with a metal bed frame that does not have four legs. Sagging or body indentations that are 1″ or deeper and do not result from owner misuse. Sagging or indentations that do not measure 1″ or deeper. These are considered standard wear and tear. Burns, cuts, stains, and other types of physical damage that occur due to owner misuse, improper cleaning, or inadequate support. The warranty is exclusively available to original owners that buy their mattress from Saatva or an authorized retailer. Those who buy or acquire their Saatva from the original owner or a non-authorized retailer will not be eligible for warranty coverage. Customers must notify Saatva in writing regarding any claims. Discount Code: Saatva believes and claims that they provide their customers with the highest quality luxury mattresses at the best possible value. Their online-only business model allows customers to price Saatva’s products at levels substantially lower than similar mattresses you would find at a retail store. They make buying amazing luxury mattresses affordable. Because Saatva provides such an amazing value for their mattresses, Saatva does not offer coupons or discounts on its products. While some online stores or websites may claim to offer you a coupon code for Saatva’s products, the Saatva company do not allow or offer coupons on their site. With that being said, with Saatva you will always have consistency in the prices of our products, and you don’t have to worry about “phony sales” and/or other tactics that retail stores seem to use consistently to try to market their products. You can rest assured that you are saving a lot of money on Saatva mattresses and you are getting one of the highest quality mattresses in the world. While they do not offer any traditional coupons, Saatva does offer $10 in savings to customers that share their experience with Saatva Mattress on Facebook. All you have to do is to simply click the Facebook share button during your checkout. Delivery Offers: The Saatva is available in Twin, Twin XL, Full, Queen, King, and California King Sizes. Its weight varies, depending upon the size. The good news is they now offer free mattress delivery, free adjustable bed delivery, free setup, and free removal of an existing mattress set as part of its new white glove delivery service. Unlike other online mattress companies that ship and leave a mattress on your doorstep, Saatva handcrafts delivers and sets up all of their luxury products into the consumers’ home. And because of their extensive network of highly trained delivery partners, Saatva is now capable of offering unparalleled customer service and a seamless buying and delivery experience. This is by far the best value proposition for anyone looking to purchase a mattress and/or an adjustable bed. This speaks to Saatva’s continued commitment to deliver luxury products and service at affordable prices. The Saatva mattress can go well with a bed frame and without. You don’t’ have to make use of a bed frame if you don’t actually want one. As long as your floor is a solid, stable surface, your Leesa mattress is good to go. However, there are a few things that you’ll need to consider about placing your mattress on the floor. Keep in mind that bеd frаmеѕ come in dіffеrеnt tуреѕ. Thеіr dеѕіgnѕ have undergone сhаngеѕ оvеr thе tіmе wіth variances in taste and style. However, whаt tуре оf frаmе tо ѕеlесt dереndѕ on the еxіѕtіng déсоr оf thе rооm. Oftеn thе аrсhіtесturе оf thе building also іnfluеnсеѕ the style of frame уоu сhооѕе. Modern bed frаmеѕ with ѕlееk dеѕіgnѕ аrе the сhоісе of mаnу who live іn new hоuѕеѕ with unique аrсhіtесturе and déсоr. The opposite can be said about older homes with a more traditional feel. Bed frames give a certain character to the bedroom, so deciding on the right one is important. For your convenience, it’ll be best to move the Saatva into the room where you’ll set it up. If you’re unboxing it all one, try placing your foot on one of the box flaps to keep it in place while you take out the bedroll. Avoid using a sharp object to open the box because maybe you’ll incidentally slice the mattress. Once you pull out the bedroll, you’ll instantly notice that your Saatva will start to expand. But before that, you’ll need to place it first on any solid surface and don’t forget to remove the plastic wrap. Take note that it might take an hour for the Leesa to expand and spread completely, and a couple of days to firm up fully. Off-gassing is the release of particles/gas into the air from products. In some cases, they can be dangerous. Foams, including those used in mattresses, are known for off-gassing. Saatva claims that they do “no” off-gassing where they manufacture their products. Though there is a small amount of off-gassing done at their supplier’s facility where the foam is made. Saatva strictly says that all their foams must be stable when they are shipped to their manufacturing partners. When you take delivery of your Saatva mattress, there will be absolutely no smell. The mattress does use memory foam, but it is made from a bio soy foam that quickly off-gasses during the manufacturing process. This is a big step up from many memory foam mattresses which often come from the manufacturer rolled up and in an airtight package. Memory foam takes days if not weeks to completely off-gas in a ventilated space, which is hard to get in an apartment or during the colder months. With a Saatva mattress, once the foam is built into the mattress at Saatva’s factory, there is no smell at all. This is great for people with allergies or for pregnant women, who frequently report heightened sensitivity to smells. Saatva is committed to deliver and bring happiness into your home by offering high-quality and well-made mattresses with their American handcrafted Saatva mattress. Though you may feel a bit skeptical about buying a mattress online, but Saatva will make the online purchase a lot easier with no accompanying fees all throughout the process. Of course, you’re preparing to make a significant investment in your new mattress, and the product you decide on will largely dictate your overall comfort and quality of life for several years to come. With this being said, before even buying, be sure to take into consideration all of your needs as well as your partner or children. Look for something that offers little to none amount of bounce, pressure relief, and strong support just like a Saatva mattress. Do Sleep Trackers Make You Sleep Worse?